These days’ women, including me feel more empowered because of advancement in many fields. One of these fields is Golf and women are lucky to have access to Golf products made specially customized for women. Taylormade Kalea is one of those. So, it’s really important to get the world familiarized with it, today I am going to have a Taylormade Kalea review. Fasten your seatbelts women! For the last four decades, TaylorMade has been one of the most innovative manufacturers in golf. Since opening a steel-headed driver at the 1979 PGA merchandise show, the company has pushed the boundaries of equipment technology. 1) The TaylorMade Kalea range has been designed precisely for women. It is the first complete ladies set from any established golf brand in over 10 years. This Women’s Golf Set includes every essential club required on the course from driver right through to putter. It precisely includes a Driver, Irons, Rescues, Wedges, Fairway Woods and a Putter. The key feature of the TaylorMade Women’s Kalea hybrids and irons is how lightweight they are, the objective being that you get the very most out of every swing. 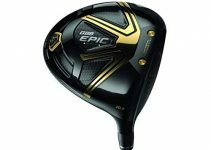 2) These hybrids, available are extremely lightweight and are joint with the aerodynamic head shape which means you can produce extraordinary club head speeds (and so greater distance) with no extra energy. Kalea set is available in two options a 10 club set and an 8 club set. When you get a 10 club set it gives you most handy and comfortable driver. Getting an 8 club set you can polish your game. 3) The slot technology allows the face to bend and this increases ball speeds and forgiveness on off-center strikes. 4) The idea behind the Kalea range is to provide clubs to fill all the requirements of the golfer. The recommendation then is that you choose a combo set featuring 4 and 5 hybrids then transitional irons 6-7 and 8-SW in standard irons. 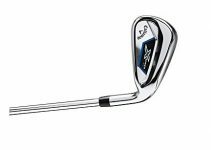 5) The transitional irons are slightly larger in the head and give greater forgiveness while the shorter irons are more compact allowing you greater control. 6) To meet the demands of the modern golfing woman, the Kalea set emphases on swing speed and weight. The shafts are all light and thinner than many shafts on the market which makes them more flexible. 7) Improved hitting and a low/back center of gravity position gives the ball plenty of height and less weight, although sometimes slightly too light around the green. It also ensures the clubs have enough to get the ball up into the air. 8) The sweet spot has been increased thanks to larger cavities at the rear of each iron. 9) Although sleek and fragile looks of these clubs make them appear beautiful but these clubs are just the opposite with all the strength and mettle to be in a lady’s controlled grip. 10) The clubs also come with custom head covers and no extra cost. What makes them so inimitable? Let’s find out through its pros. It has very lightweight with thin shafts and aerodynamic to maximize clubhead speed and are specially designed and manufactured like this so that while playing the golfer doesn’t feel tired or exhausted. The golfer will be able to go to the extremes while playing. This also makes it easy to carry. Slot technology increases forgiveness on off-center strikes and adds enough flexibility for the Golfer’s comfort. Each shaft uses Slim Tech technology to make them as light as possible. This helps increase swing speed. One thing women do admire is the beauty. Taylormade clubs are indeed an example of brilliant design and look that they easily find an enviable place in golf carts of brilliant women golfers. The price is very fair and I can definitely recommend this set to ladies who are looking to get into the sport. The lightweight club may not suit the most powerful players such as men or women with a higher hitting potential, this is a negative point and should be considered. 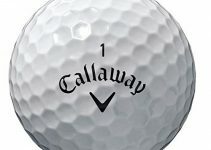 Callaway is another best company which has initiated the Women’s clubs popularly known as Callaway Solaire; these are also highly advanced in technology and quality. But what makes the two of them different? Let’s play neutral. The price of the Solaire is comparatively higher than the Kalea; this means that women who couldn’t afford the rates of the Solaire might consider having the Kalea. The Callaway Solaire consists of 11 to 13 pieces of clubs in the set whereas, the Taylormade Kalea only consists of 8 to 10 pieces. Both of the clubs have different weights; the Taylormade Kalea has comparatively lightweight than the Callaway Solaire. Taylormade Women’s Kalea Complete Golf Set fulfills all the needs of the women in an exciting game of golf. This golf kit contains all the needed clubs that are crafted to match the right mix of elegance and efficiency of women of today. This set of golf clubs is lightweight to make the game enjoyable, price to make the perfect shots and beautiful just like the person holding it.